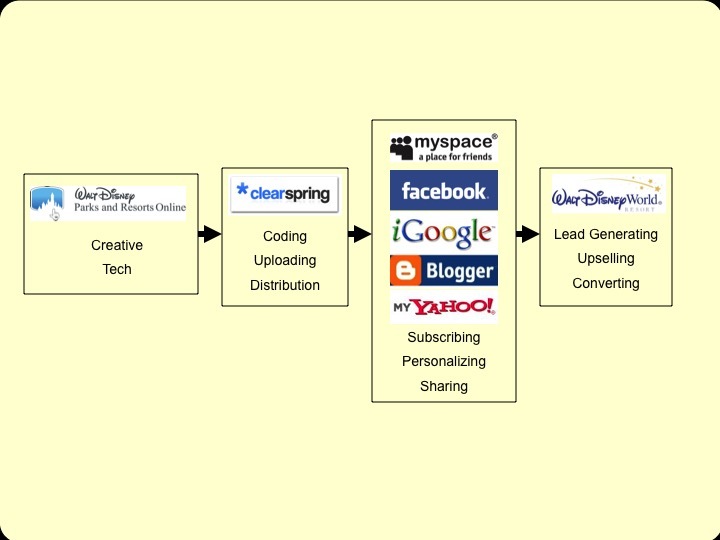 Objective: Pitch an idea at open forum for funding. 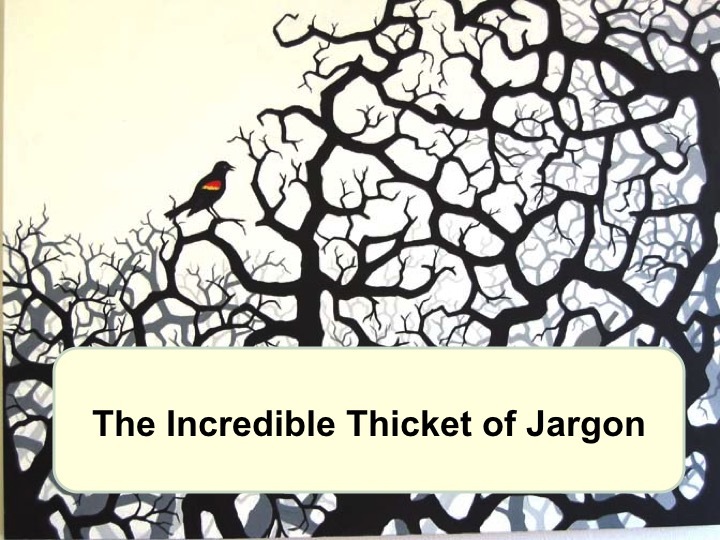 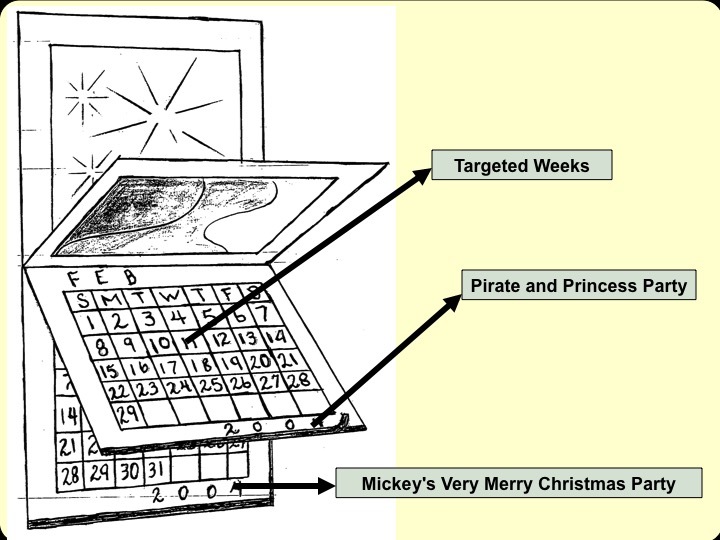 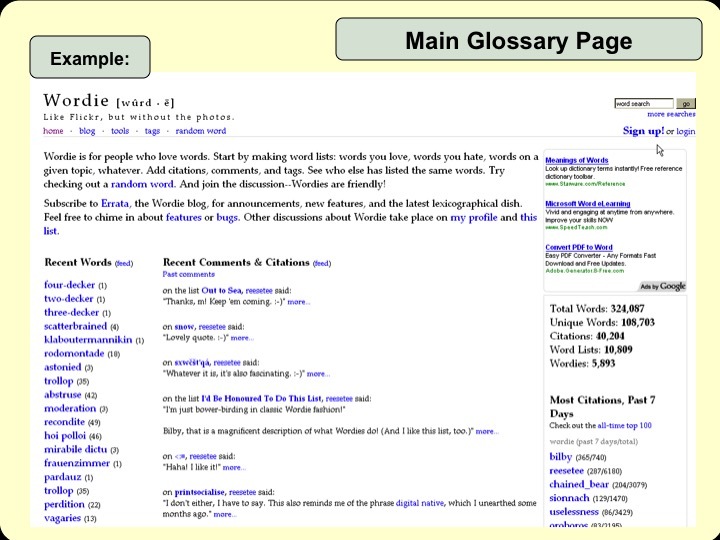 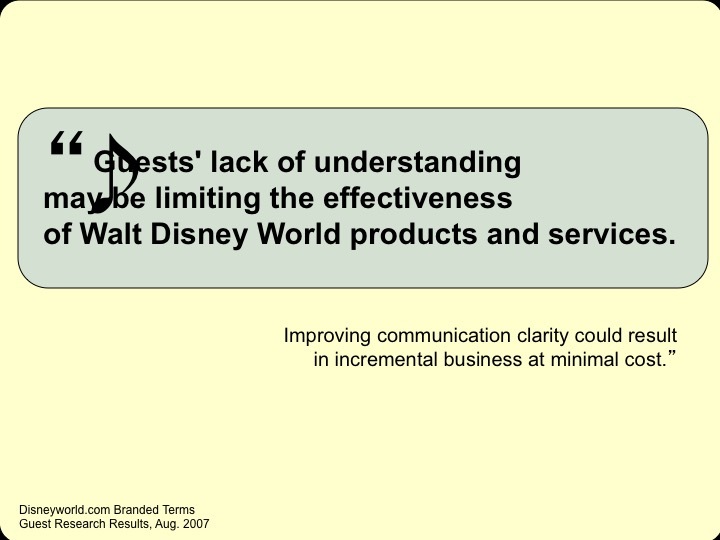 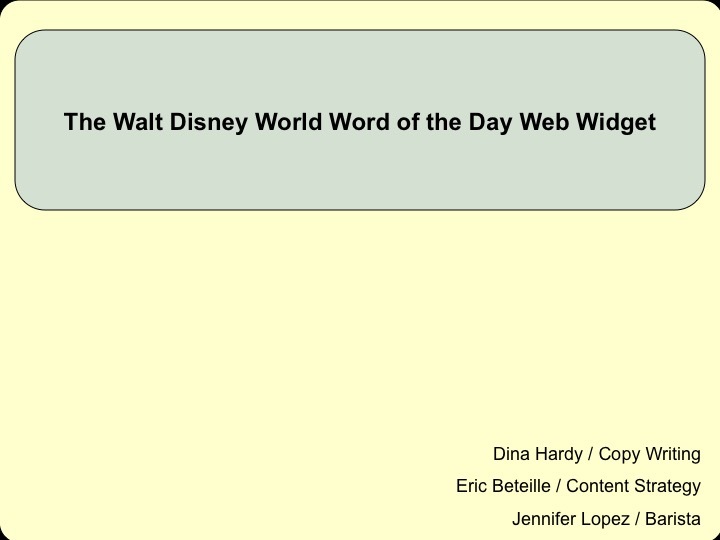 Goal of this widget pitch (this was back when people thought widgets were cool) was to show there's so much 'magical' copy on Disney websites, why not provide a dictionary widget to educate Guests coming to Disney sites—let them into the club of understanding, have them share their knowledge with their friends. 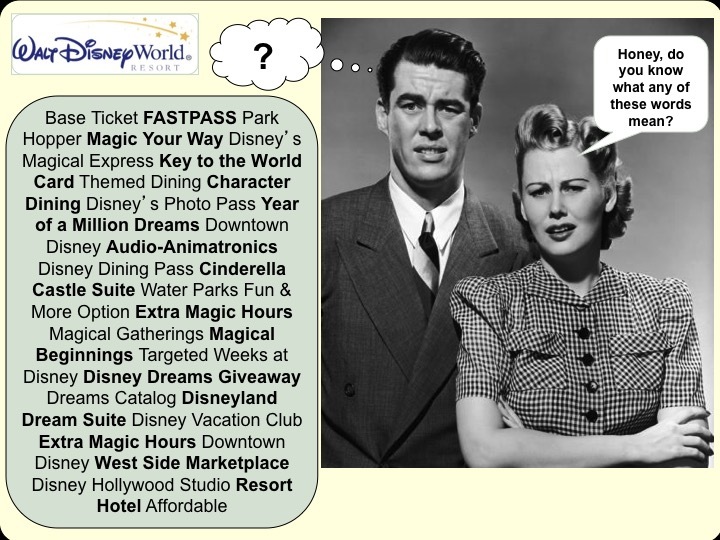 Didn't get funding, but this thinking lead to my copy vision and prag-magic copy pitch that was foundation for WDW Next Gen. 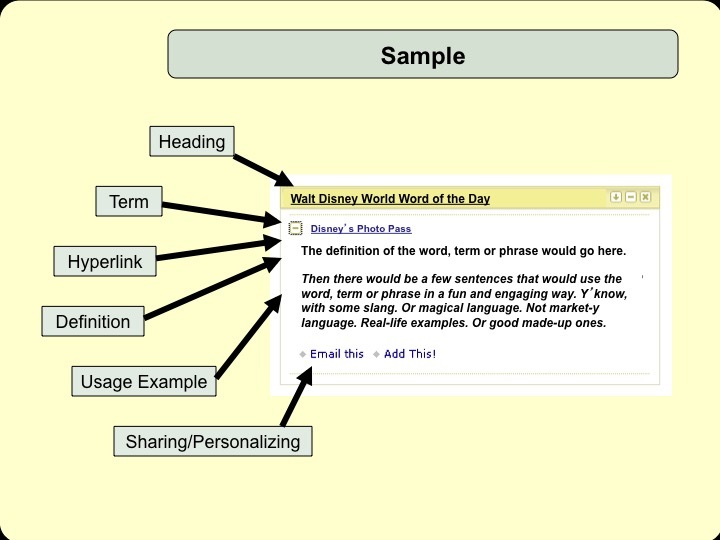 Idea carried to WDW Next Gen site with hover text definitions.